At the corner of Minard road and Frankfort street in the heart of Shawlands sits the Brooklyn Cafe, which has been serving hungry customers since 1931. A favourite amongst south side residents, the cafe offers everything from full cooked breakfasts, to take-away sandwiches & rolls to burgers. Recently, they’ve also debuted a new grill menu, consisting of a full range of southern inspired comfort food such as pulled pork, buffalo wings and racks of ribs. 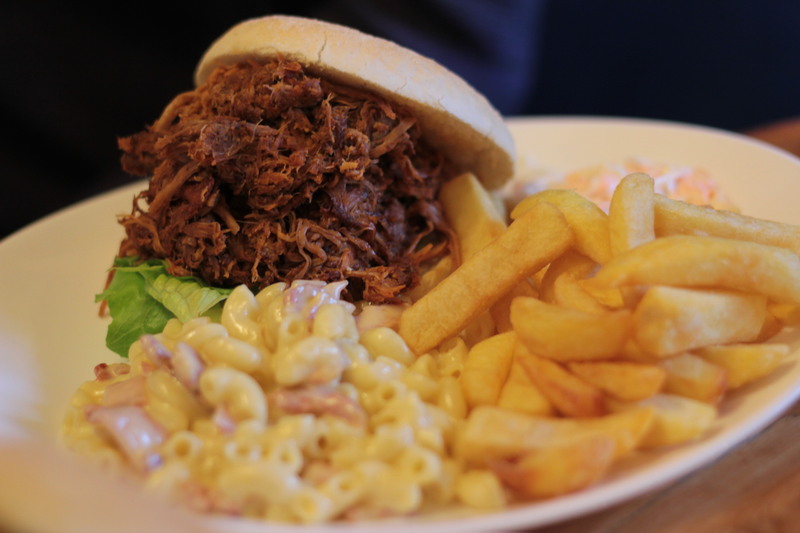 To be honest, we’ve been getting a little tired of pulled pork recently, which seems to be popping up in just about every bar, cafe and restaurant all over Glasgow and as a result, we’ve reviewed it a lot recently. We’d heard good things about the pork from Brooklyn Cafe though, and when we spotted a recent offer on a well known daily deals website, we decided to give it a try. Sitting inside the Brooklyn Cafe and glancing at the menu, it almost feels like the cafe doesn’t really know which identity it wants to adopt. It’s a cafe, greasy spoon joint, restaurant and American grill-house all rolled into one. Sitting inside, it feels very much like a cafe and I feel like I should be hungover and feasting on a massive fried breakfast, not pork, ribs, steaks and burgers. It seems like they are really trying to offer something for just about everyone. The deal that we had purchased was for a ‘two course pulled pork meal for two for £15’, consisting of a 300g pulled pork sandwich with a side of fries and mac & cheese along with any other starter/side from the grill menu. As you can see from the photos above, the pulled pork sandwich at the Brooklyn Cafe is huge! There’s a smaller, 150g version also available on the menu, but ours was the full size, 300g sandwich. The pork itself was absolutely delicious. Unlike a lot of the other pulled pork we’ve reviewed, this wasn’t swimming in barbecue sauce which was a welcome change. We’re not saying that barbecue sauce-laden pork is bad, but the fact that this wasn’t covered in it simply helped set it apart from the rest that we’ve eaten recently. It was fantastically seasoned and was melt-in-the-mouth delicious. It had a wonderful hickory-smoked barbecue kick and there was so much of it crammed inside the bun that I thought I was going to have to attempt to dislocate my jaw just to eat it. The no-frills bun wasn’t so great, but it did the job of holding all of the pork in fairly well. It didn’t break apart, but was a little dry and didn’t really do much to compliment the pork. I think I’d have enjoyed the pork just as much if I’d simply eaten it out of a bowl with a fork. Acting as purely something to hold the contents in; however, it worked well enough. Overall, this is definitely right up there with the best pulled pork we’ve had in Glasgow. The sandwich was served with mac & cheese, which was pretty good and certainly better than the runny mac & cheese, served by SMOAK, that we ate at the recent Street Food Cartel event. It was thick, gooey and packed full of smoked bacon. The fries, on the other hand, were so salty that neither of us could eat them. They were also overly greasy and reminded us of fries that you’d get from the canteen in your office, or that you’d have gotten from your school canteen, way back in the day. For sides, we opted for loaded potato skins and buffalo wings. 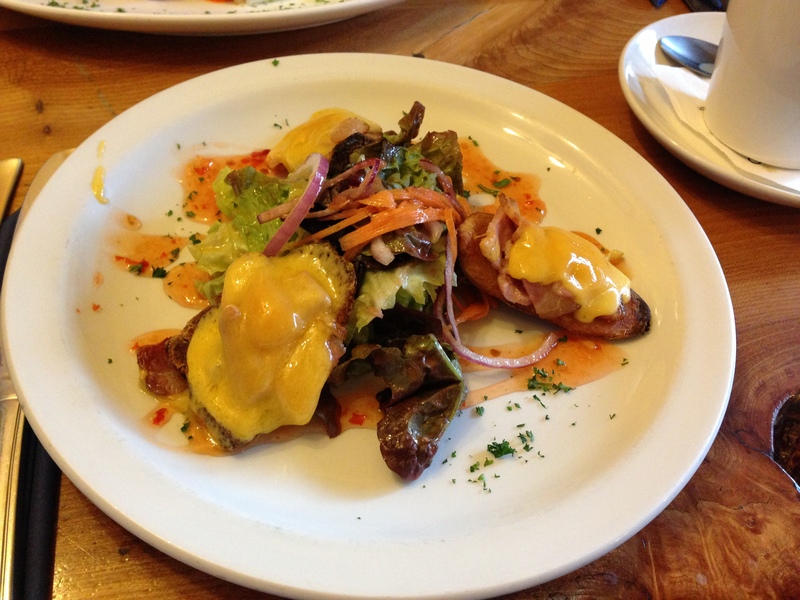 The potato skins were a little underwhelming and a bit too greasy. There were only three on the plate too, so not the biggest portion we’ve ever had. The wings; on the other hand, were fantastic. They were so tender that the meat practically fell off the bone and the sauce that they were coated in was delicious. It had a VERY intense, spicy kick and I felt like my lips were on fire after only a couple of bites. Very, very good. As mentioned, our food was bought via a daily deals website so we paid a greatly reduced price. As a result, we obviously felt that what we got was good value for money. 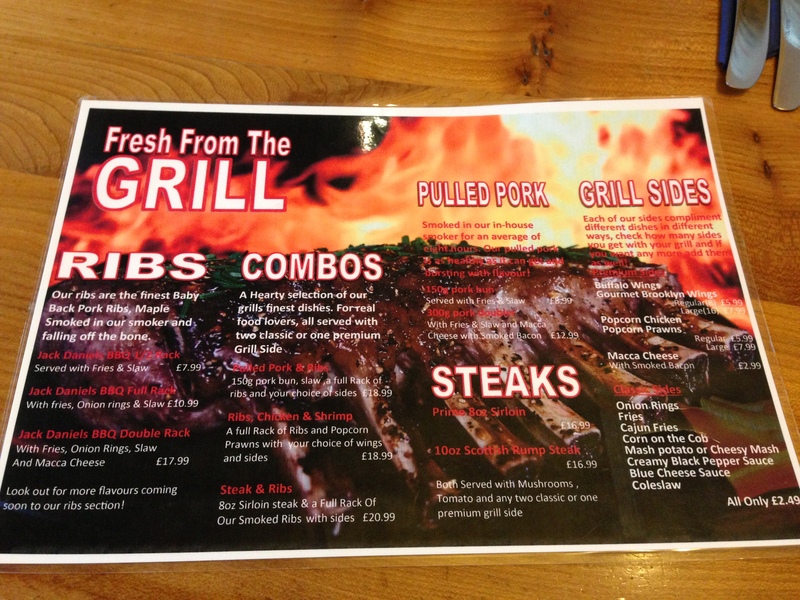 Looking at the grill menu (pictured below); however, leaves me feeling that perhaps the Brooklyn Cafe isn’t the best value for money cafe in town. 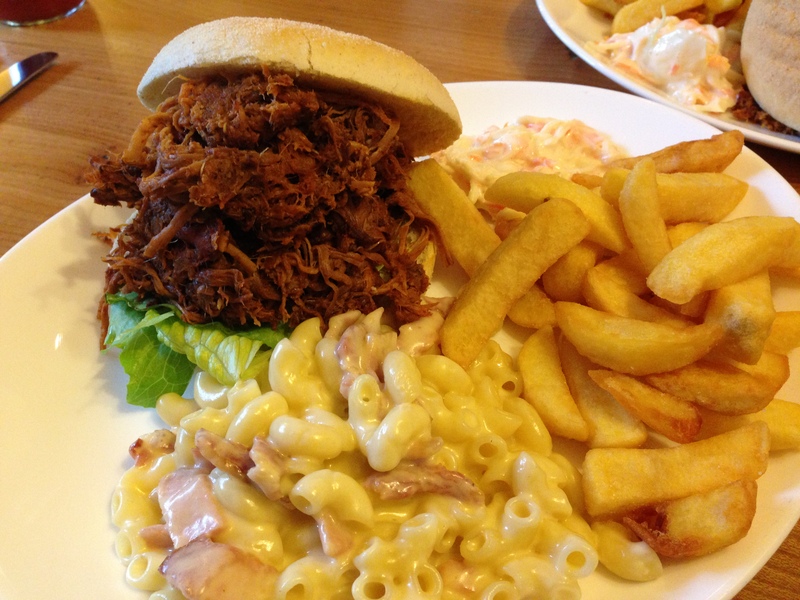 The pulled pork sandwich with fries and mac & cheese that we ordered will set you back a rather hefty £12.99, and despite the fact that it comes with both fries and macaroni, we still felt that it was a little steep. Perhaps if the price also included the wings or another grill side and the fries and bun were better, it wouldn’t be quite so bad, but £12.99 is a lot to pay for a sandwich. 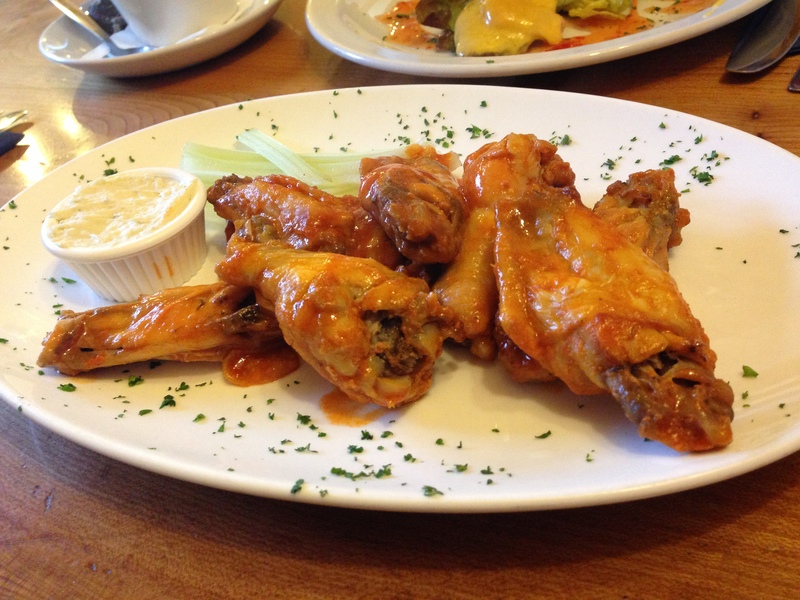 Overall, the pulled pork is absolutely delicious and the tender buffalo wings are certainly worth a try too. If you don’t have a daily deal voucher like we did; however, then the hot sauce might not be the only thing bringing tears to your eyes, once you see the bill. ***We ate as part of a deal purchased from a daily deals website, which included a 300g pulled pork sandwich with fries and mac & cheese along with a grill menu side for £15. – Despite the big portion, £12.99 is a lot of money for a sandwich & fries even with some macaroni on the side. Talk to us on Twitter and tell us what you thought of this! You can also leave your own review and comments below. We want to hear from you! You can also leave a message or join in the chat on our Facebook page. Looks like you actually got the 300g portion – we went last time the deal was on & did not look as generous as yours at all & at the time we thought it wasn’t 300g. Bought it again this time so hopefully will get the full whack on our return visit. Tasted great though but agree, would not pay the full price for it at all. I got my voucher , built myself up to this fantastic looking burger that i had heard so much about, I was dissapointed , very dry pork, with not much flavour. I feel it was highly priced for what i received. I will try it again incase it was an off day ..only if on offer.